The BLOOM! Campaign by Seed Your Future aims to reduce plant blindness among youth and their families. Plants are critical to the future of the planet, but absent from the minds of most American youth, resulting in a perilous workforce gap in the horticulture industry. Now, a new national campaign, BLOOM!, launched to excite young people about the power of plants and ensure horticulture – along with the millions who depend on it – thrives well into the future. BLOOM! is the first major initiative of Seed Your Future, a coalition of more than 150 partners – including horticulture companies, gardening organizations, schools, colleges, universities, public gardens, youth organizations, nonprofit organizations and individual advocates – united in their mission to promote horticulture and the diverse careers the industry offers. 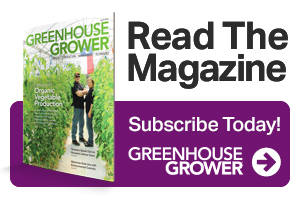 Horticulture – the art, science, technology, and business of plants – touches nearly every facet of life, but awareness of this important industry is at an all-time low. Research shows that the average American can recognize 1,000 brand names and logos, but fewer than 10 local plants. “Plant blindness” – a lack of awareness of plants – is particularly significant among U.S. youth, a majority of whom have never heard of the term “horticulture,” and the industry is experiencing the impact. Nearly 58,000 jobs in horticulture are expected to become available annually for the next five years, but only 61% are expected to be filled. At the same time, higher education and horticulture training programs are experiencing declining enrollment. Through eye-catching, fact-based content delivered both inside and outside of the classroom, BLOOM! is educating and inspiring young people and the adults in their lives about the power of plants and the career opportunities behind them. The campaign website serves as a digital hub for all campaign activity and hosts a suite of entertaining, educational resources to interest kids, teachers, parents, and youth program leaders. 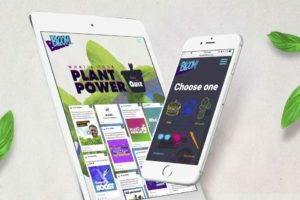 Youth are invited to “Find Your Plant Power” through an interactive quiz that introduces them to surprising facts and exciting opportunities in horticulture that align with their personal interests, including everything from sports, fashion, beauty, technology, science, art, and beyond. They can also explore the world of plants through social media content, infographics, and video profiles of young professionals working in horticulture. Teachers and youth program leaders can access turnkey lesson plans, learning modules, student magazines, games and more via the BLOOM! Educator microsite, created in partnership with Scholastic Inc. These resources are also being distributed via Scholastic Inc.’s vast network of 3.8 million teachers nationwide. Parents and partner organizations can also take part thanks to user-friendly materials that make it easy to integrate the plant world into their everyday interactions with youth. With more than 100 diverse careers to choose from – including sports groundskeepers, drone engineers, florists, plant breeders, hydroponics specialists, landscape architects, and greenhouse growers – horticulture offers young people the opportunity to positively impact the world while cultivating their personal interests. Horticulturists today are tackling some of the world’s biggest challenges such as feeding a growing population, curing disease, climate change, and clean water. They are also making playing fields safer for athletes, creating fabric for clothing, growing plants that soothe and heal us, and making the world a happier, more beautiful place.